Seattle’s first Furry conventions began in 1998. There were eight annual ConiFur Northwests, growing from 275 to 525 attendees, before they self-destructed after the 2005 event. 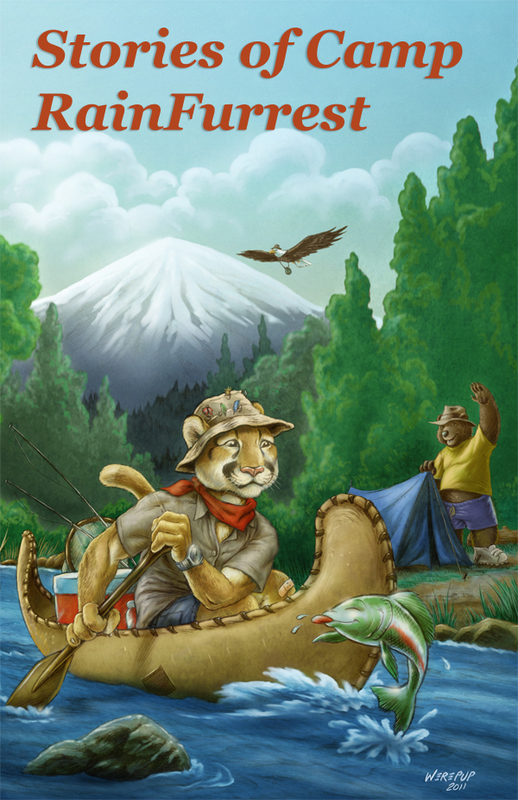 Rainfurrest (or Rainfurrest Anthropomorphics International) was first held in 2007 to be ConiFur’s replacement. It seems to be more successful; Rainfurrest has grown from 370 attendees in 2007 to 1,420 last year. Practically all Furry conventions have souvenir “conbooks”, and two or three short stories by members are a feature of these. Rainfurrest 2011 decided to take this a step further. Dallas, TX. FurPlanet Productions, September 2011, trade paperback $10.00 (108 pages).